Bitcoin is a decentralized digital currency that offers users the opportunity to make payments without an administrator or a middle man. In other words, bitcoin is not backed by a bank or any other type of intermediary that overseas and facilitates transactions. As a result, users are not required to pay any large fees for their transactions. Additionally, one also does not need to reveal their true identity. Bitcoin users are thus allowed to maintain their anonymity during all dealings. As one might expect, bitcoin users can acquire the cryptocurrency as they would any other form of payment. One can trade in their “traditional” currency, like the US dollar or euro, in exchange for bitcoins. 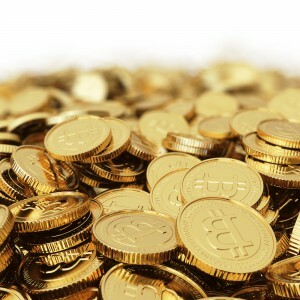 Individuals and companies can also receive bitcoins by selling items or offering services. Users can also acquire bitcoins through mining, a process through which users verify the cryptocurrency’s transaction records in exchange for 25 bitcoins. Individuals can purchase the cryptocurrency at a bitcoin exchange. These websites enable users to buy or sell their bitcoins in exchange for other currencies. Users place “buy” or “sell” orders, which function like “bids” and “offers” on a stock exchange. The bid price is the maximum amount of money an individual is willing to pay to acquire a bitcoin, and an offer price is the value a bitcoin holder is willing to take in exchange for a bitcoin. Many exchanges require a small fee as remuneration for their services. The most prominent bitcoin exchange was Mt. Gox, which was based in Tokyo, Japan from July 2010 to 2014. However, the company suspended trading in 2014 after it was revealed that 850,000 bitcoins on the website had disappeared. Today, the most prominent bitcoin exchanges are Coinbase, Bitstamp, Bitcoin Source, Kraken, BTC-e, and Cryptsy. The majority of bitcoin exchanges accept trades involving the United States dollar. For users who are interested in exchanging bitcoins in other currencies, Cryptsy supports over 100 currencies. What Companies Are Currently Accepting Bitcoin Payments? Additionally, there is a wide range of online casinos, poker sites and sportsbooks that accept bitcoins for real money online gambling. In fact, it has been widely reported that a large portion of all bitcoin transactions are related to gambling activities. Bitcoin mining is the process through which the digital currency’s transactions are verified by the bitcoin network. This process helps to ensure that the transaction is being made using a genuine, authentic bitcoin, thus helping to secure the network itself and make sure that users are not fraudulently acquiring funds, products, or services. As a reward for verifying the transaction, the “miners” are rewarded 25 fresh bitcoins. So as to verify the authenticity of such a bitcoin, miners must verify all of the transactions within a bitcoin’s block chain. These transactions are “placed” into a locked area that users can attempt to enter by completing a large number of mathematical problems, which are solved by miners using a special type of software on their computers. In the beginning, bitcoin mining could sufficiently be achieved on a user’s personal computer. Over time, however, bitcoin miners began to realize that mining could be achieve more efficiently using different hardware. Instead of relying on the Central Processing Unit, or CPU, individuals and groups began to mine bitcoins using the Graphics Processing Unit, or GPU. Since that time, mining has continued to evolve, with users implementing field-programmable gate array, or FGPA, and application-specific integrated circuit, or ASIC, solutions. Groups of people have now begun to mining bitcoin in pools, with the math problems divided up into portions so they can be completed more efficiently. Mining not only offers users the opportunity to retrieve new bitcoins, but also helps to ensure that the currency remains decentralized. The bitcoin network itself, the users of the currency, work to verify the payments and transaction, helping to boost bitcoin’s security. Bitcoin users are not required to pay exorbitant fees so as to facilitate their payments. While individuals may, in some cases, pay a small fee to increase the speed at which the payment is processed, this is not a requirement. As a result, using the cryptocurrency is far more financially sound than making a similar payment using a credit card. Smaller economies have also embraced bitcoin as a result of the currency’s low processing fees. Previously, individuals in countries such as Romania would have to pay a series or conversion and transaction charges in order to convert their received payments from the original currency, which was often the United States dollar or the euro, to their own currency. As a result, businesses and individuals in smaller, less economically-powerful countries were not receiving the full remuneration for their services. Thus, not only is bitcoin seen as a solution to the issue of fees and charges, but it is also seen as possibly being the force that can limit the power of traditionally powerful currencies and economies. Bitcoin users do not have the reveal their identities during a transaction. One does not have to reveal their name or other personal information while making a payment. This greatly decreases the risk of identity theft inherent in bitcoin payments. In some cases, however, the anonymity that comes along with bitcoin also works as a disadvantage. As a result of the currency’s anonymity, the currency has been used in the exchange of weapons and contraband. Bitcoin news headlines often address this very problem. Bitcoin users can make and accept payments to anyone else in the world. As a result, individuals in a country like the United States can make a payment for a product being sold by a company in Japan without having to worry about currency conversion fees. Individuals interested in making bitcoin payments will have to use a bitcoin wallet, which stores the credentials of the owner of the bitcoins. As a result, the wallet essentially functions like a bank account. The wallet helps users to access their bitcoins and make digital payments more easily, as they are now available as mobile phone applications that can be carried around wherever the user chooses to go. Bitcoin is still a relatively new currency, but experts claim that the invention of this digital currency and the Blockchain concept is the biggest invention the world has seen since the birth of the internet.